Μια μπλε Koenigsegg Agera S έγινε πρόσφατα το πιο ακριβό αυτοκίνητο που πουλήθηκε ποτέ στη Σιγκαπούρη, αφού η Angela Tan, πλήρωσε 5,3 εκατ. SGD (3,14 εκατ. ευρώ) ώστε να την κάνει δική της. Το αυτοκίνητο παρουσιάστηκε στις 14 του Ιούνη στο ξενοδοχείο Ritz Carlton Millenia όπου 200 VIP καλεσμένοι έδωσαν το παρόν. 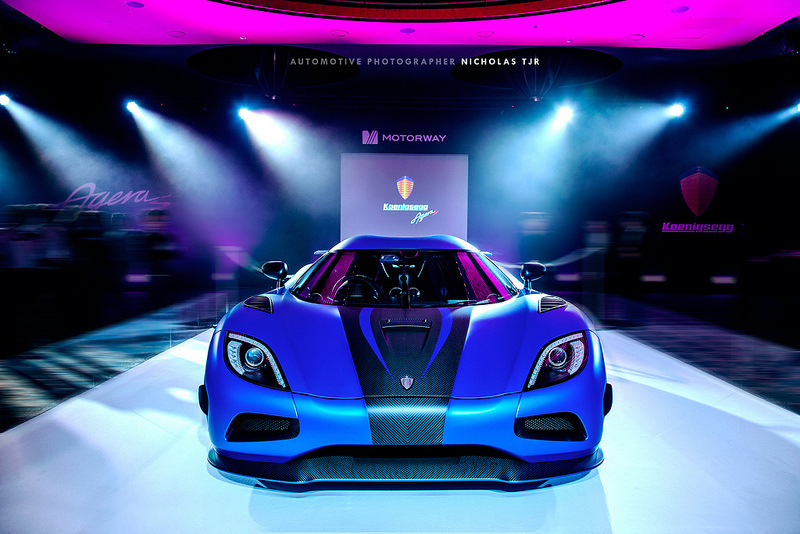 H Agera S φορά τον V8 twin-turbo κινητήρα 5,0-λίτρων απόδοσης 1.040 ίππων στις 7.100 σ.α.λ με με 1.100 Nm ροπής στις 4.100 σ.α.λ. Τα 0-100 χλμ/ώρα τα κάνει σε 2,9 δευτερόλεπτα, τα 0-200 χλμ/ώρα σε 7,9 δευτερόλεπτα, έχοντας τελική ταχύτητα 400 χλμ/ώρα. Τα 0-200-0 χλμ/ώρα τα κάνει σε 12,8 δευτερόλεπτα, ενώ τα 0-300-0 χλμ/ώρα σε 22,7 δευτερόλεπτα. Έχει αναλογία βάρους 1,24 κιλό/ίππο και κατανομή βάρους 44:56 μπροστά-πίσω. Το ντεπόζιτο της χωρά 80 λίτρα με τον κινητήρα να συνδυάζεται με ένα 7-τάχυτο διπλόδισκο αυτόματο κιβώτιο ταχυτήτων με ηλεκτρονικό διαφορικό. Έχει μήκος 4.293 mm, πλάτος 1.996 mm, ύψος 1.120 mm και μεταξόνιο 2.662 mm. Πατά στο έδαφος με ζάντες 19″ μπροστά και 20″ πίσω κατασκευασμένες από carbon, με ελαστικά Michelin Supersport. Τα φρένα του hypercar αποτελούνται από carbon-κεραμικούς δίσκους διαστάσεων 392x40mm μπροστά και 380x34mm πίσω. Τα αναλυτικά του τεχνικά χαρακτηριστικά μπορείς να τα βρεις στο δελτίο τύπου που ακολουθεί. 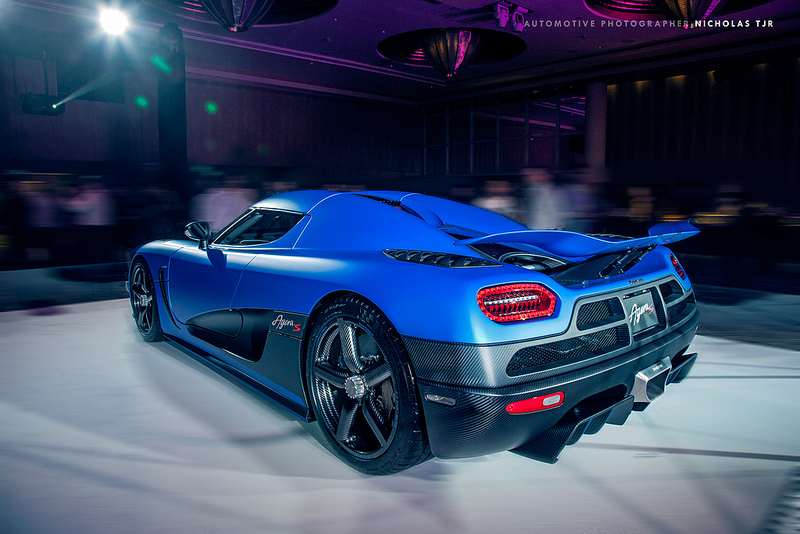 The 2014 Agera S was created specifically for markets where E85 fuel is unavailable. The Agera S has all the features and functions of the Agera R except for flexfuel capability. Despite not running on high-octane biofuel, Koenigsegg has still managed to extract an amazing 1100Nm of torque and a full 1030hp from the 5-liter Bi-turbo V8 when run on 98 octane RON or 93 octane DIN. Koenigsegg’s use of the latest in turbocharging materials and design technology gives the Agera S maximum flexibility when it comes to power delivery. The reduced inertia of the turbine wheel and axle provides a much improved response. 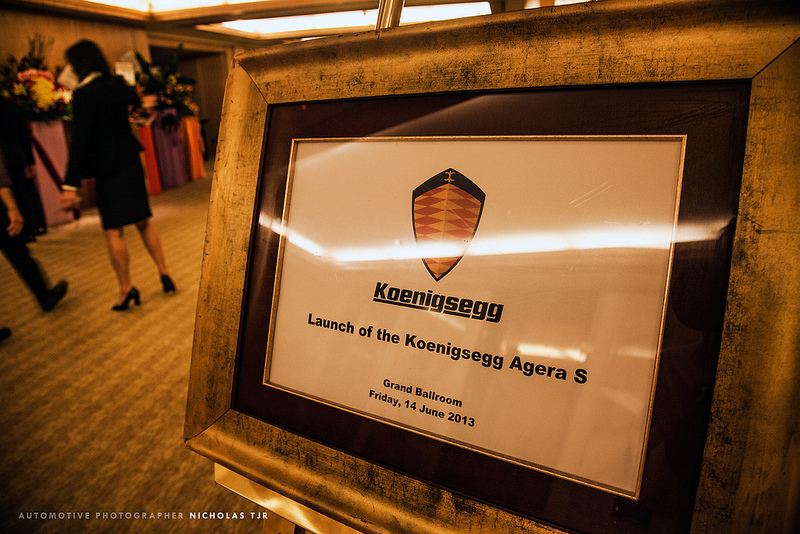 Please take your time and review each element of the new 2014 Koenigsegg Agera S, listed at left. Christian von Koenigsegg has invented a world’s first, all-new rear suspension system for a road car – Triplex rear suspension. 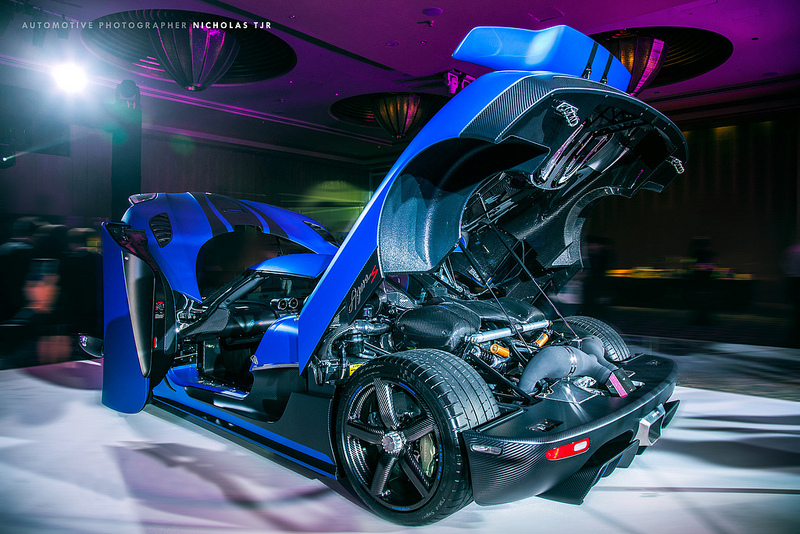 The Agera S comes equipped with the Triplex rear suspension system as standard. The Triplex rear suspension system comprises a shock absorber and spring that connect the right and left rear wheel. This system provides unique benefits as the two rear wheels can now influence one another when desired. There are multiple benefits of this system. For example, the Triplex system works in series with the normal springs and dampers, allowing their spring and damping rates to be lowered. This results in increased comfort and better handling on rough and wet surfaces without compromising dry track handling. The Triplex system also has an anti-squat effect. Traditional anti-squat systems are designed into the geometry of the suspension. These systems do not add any components or weight but they compromise the geometry of the suspension for other aspects of handling aside from anti-squat. By adding the Triplex system, Koenigsegg can maintain true suspension geometries for handling, but still have the anti-squat feature and harvest other new found benefits. As the Triplex system compliments the normal dampers and springs, these can be made lighter. Hence, the added benefit does not significantly affect the overall weight of the car’s suspension. Every problem has a solution. Sometimes, the hardest part is finding it. Hypercars of today generate massive amounts of downforce at low to medium speed and less down force at very high speed. This is so as to avoid overloading the tires and creating too much drag. Most hypercars are fitted with have heavy, hydraulically operated wings and flaps – a compromised solution. Koenigsegg, following the “less is more” philosophy, has designed a dynamic system to take care of these needs. The most visual and obvious part of this system is the new dynamic rear wing. The wing changes its angle of attack, not with the help of hydraulics, but with the pressure of the wind. It is therefore controlled dynamically by the vehicle’s speed or wind resistance at any given moment in time and thus can actually compensate for either headwind or tailwind at the same given road speed. This is an intelligent way of dealing with adaptive aerodynamics as the system becomes lighter, less complex and more intuitive compared to heavy and complex hydraulic systems. 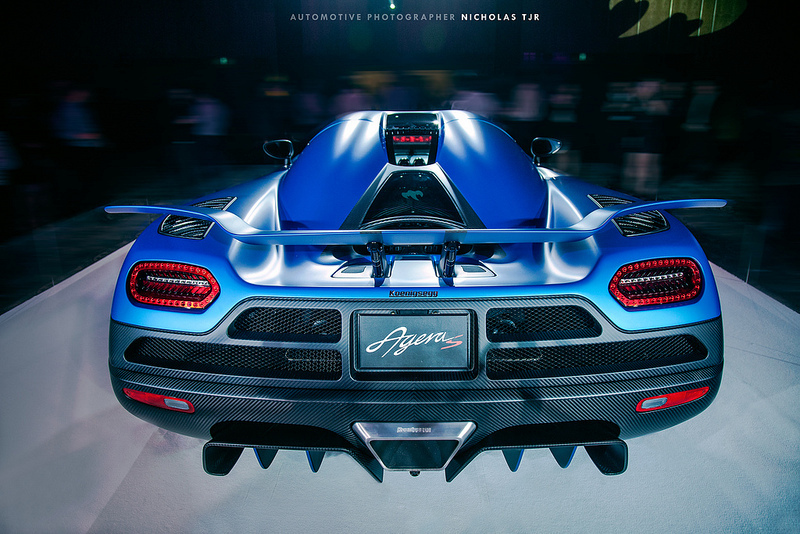 Koenigsegg had to work heavily with CFD in order to create the dynamically controlled adaptive aerodynamics of the Agera S.
An interesting additional feature of the adaptive wing is that the pylons for the wing also act as air extrusion channels. The air channels go from the engine bay to the back of the pylons, thereby creating an air passage. This causes a venturi effect from the air rushing past the pylon, evacuating hot gases from the engine bay, reducing pressure in the engine bay and increasing the flow of cooling air through the side radiators. This also means that the pressure under the car is reduced, giving more low drag down force. 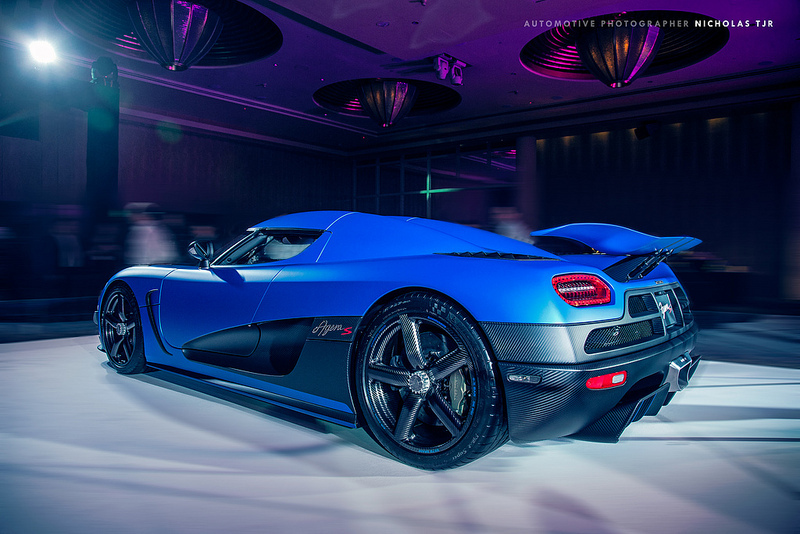 The 2014 Agera S features the world’s lighest and strongest Hypercar wheels, developed and produced by Koenigsegg. What makes this wheel truly unique is that both the spokes and the centre of the wheel are completely hollow and made out of carbon – in one piece – together with the rest of the wheel. This design demanded that Koenigsegg come up with a novel way of producing a one-piece hollow carbon construction, something much more complex than what has been allowed before. The only metal part in the Koenigsegg Aircore carbon fiber wheel is the checkvalve for filling up the tire. Apart from this tiny valve, the whole wheel is made completely from carbon. Given its unique design, the wheel’s strength is much higher than any forged aluminium wheel, but at the same time it delivers a weight saving of 41%. This drastic reduction in weight brings massive benefits when it comes to performance. Everyone understands that unsprung weight should be kept at a minimum in order to have maximum performance. What is not so widely understood is that the rotational mass should be kept to a minimum. Every time the car accelerates or brakes, rotational mass works against the objective of quick acceleration or short braking distance. In addition, the steering feel and keenness is affected by rotational mass, as the rotational mass acts as a gyro, counteracting turning. Simply put, reducing the rotational mass with a 100% carbon wheel not only gives less unsprung weight and a lighter car, but it also increases the dynamic power that goes into the ground while accelerating or braking. Reducing the rotational mass provides is therefore akin to equipping the car with larger brakes and more horsepower but with the added advantage of saving weight and improving handling. The Koenigsegg Aircore Carbon Wheel is a fantastic solution for overall performance improvement. Koenigsegg has truly reinvented the wheel. The Agera S comes standard with Koenigsegg´s latest carbon front winglets mounted on the radiator outlets. These winglets not only give 40kg more down force at 250km/h, they also reduce drag, making them a true win-win installation. The 2014 Agera S comes equipped with a new one-piece exhaust outlet. Not only is this outlet lighter, it is also shaped to improve underbody air release and work in conjunction with the Carbon air diffusors which flank the exhaust outlet. All these added features to the Agera S make it truly unique. 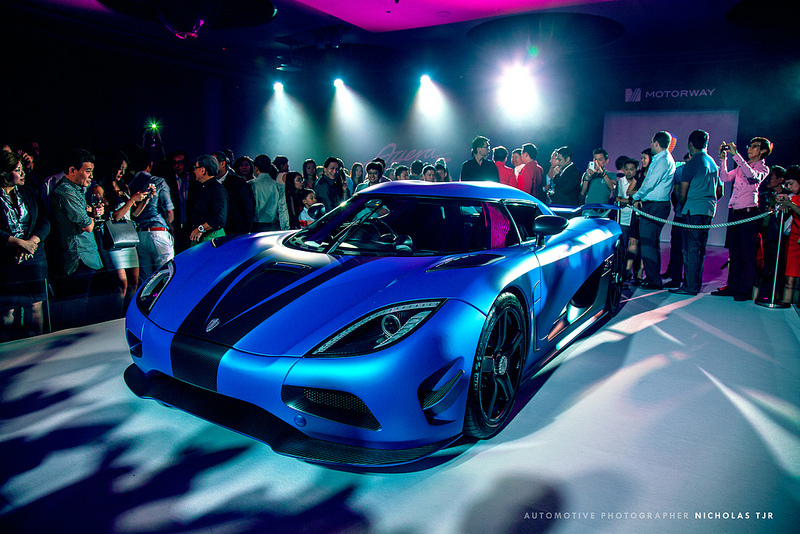 The Agera already had a level of performance that was out of this world. The Agera S manages to push the performance envelope just that little bit further. Although sharing the same values and philosophies as previous Koenigsegg models, the 2014 Agera S takes the Koenigsegg experience to a completely new level. As with all previous Koenigsegg hypercars, the new Agera S is the brainchild of company founder, Christian von Koenigsegg. The Agera S sets new hypercar benchmarks when it comes to control, handling, speed, comfort, practicality and sheer driving enjoyment, combining these features with clean, efficient and beautiful design. 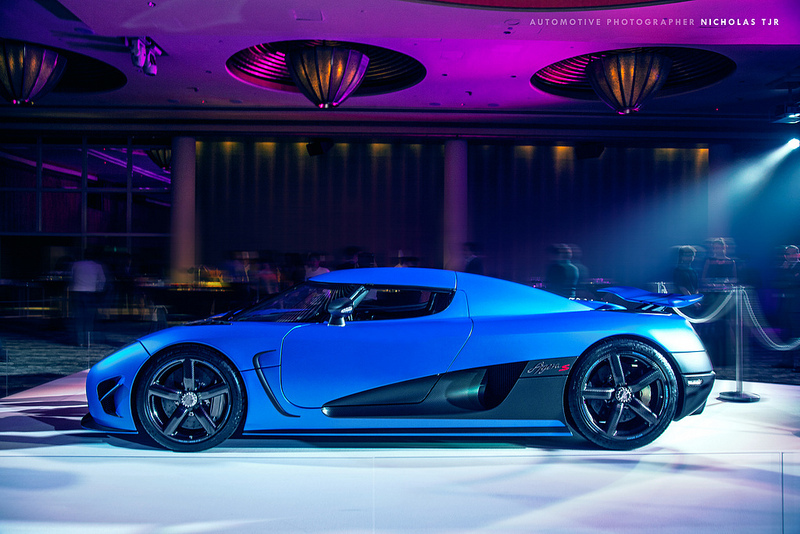 The Agera name set the tone for the new project. 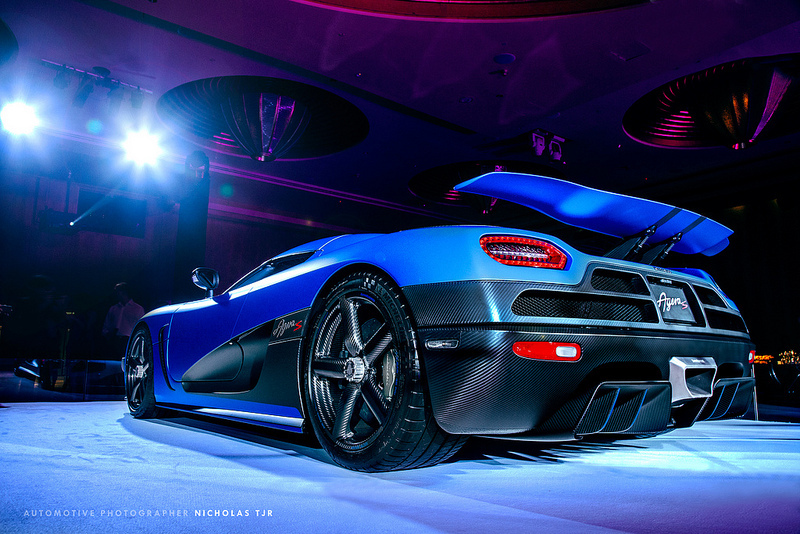 Agera means “to take action” in Swedish. It is also short for the ancient Greek word Ageratos which means “ageless”. These meanings are both perfectly appropriate for the car that is building the future of Koenigsegg. The Agera S is designed with a minimalistic “less is more” philosophy in mind. This philosophy dictates that the shape of the car has to be purely functional, with no added features except those needed to meet regulations or enhance safety, ergonomics, practicality or aerodynamics. We believe that if this philosophy is followed, the car will be as beautiful as it is purposeful. Think of the evolution of the dolphin, a species that has evolved to become supremely agile and efficient through the water while possessing an inherent beauty and grace. The Agera S has handsome proportions. It is compact and muscular. Its timeless, efficient and distinctive shape is a true testament to good design. The original shape and concept of the Koenigsegg CC, created over 15 years ago, is still valid, fresh and highly competitive today. The Agera S manages to stay true to the philosophy, shape and size of the original CC. At the same time it looks, feels and performs like something belonging to the future. Koenigsegg differs from other low volume hypercar manufacturers by the fact that we develop and produce our own engines in-house. Most observers and/or competitors consider this to be impossible, or way too expensive to even consider. Koenigsegg has proved them wrong, year after year. Not only are the engines developed in-house, they also have many class-leading characteristics. They are the lightest and most compact hypercar engines in the world, weighing just 197kg complete with flywheel, clutch, dry sump system, Inconel exhaust manifold and turbo. The low engine weight is quite astonishing as the Agera S engine also has class-leading power and torque characteristics. The Koenigsegg 5 litre V8 bi-turbo engine develops 1030hp on 98 octane RON or 93 octane DIN. The Agera S has over 1000Nm of torque from a low 2700 rpm and 1100Nm from 4100 rpm, showing great flexibility. These are extraordinary numbers considering the small size and extraordinary reliability of the engine. What’s more, they have been achieved with no sacrifice of either drivability or flexibility. This is truly downsizing without compromise. These characteristics make it one of the most flexible and easy-to-use hypercar engines in the world. To illustrate how different the Agera S engine is compared to other production car engines, look at the Brake Mean Effective Pressure value (BMEP) in the cylinders during maximum power output. The best production petrol engines from other leading manufacturers have a maximum BMEP of around 22 bar. The Agera engine has a BMEP of 29 bar, when running on 98 octane RON fuel. * The unique shape of the combustion chambers, improving the resistance against detonation. * High cylinder head clamp load, enabled by a specially designed engine block. This has proven to give a zero failure rate to combustion overpressure, even considering the extreme cylinder pressures achieved by the Agera S. * A unique engine block design, where the cylinder sleeves are used to further stiffen the aluminium block. * A connecting rod design that reduces TDC dwell time and thereby enables higher mean pressures without detonation. * Exhaust manifold and intake plenum trumpets designed to ensure the absence of peak RPM resonance and back pressure. * An efficient ejector pump system reducing the crankcase pressure and aerodynamic losses. Koenigsegg engines are also constructed to meet all required emission standards around the world. This is nothing short of astounding, given their size and power output. Furthermore, no other production engine in the world, regardless of car type, has the same amount of power potential compared to its EU cycle average CO2 emissions (310g of CO2) or cycle fuel consumption (14,7 litre per 100 km / 16MPG). However, what makes Koenigsegg most proud is how drivable, smooth, responsive, torquey and reliable the Agera S engine is – especially given its extreme performance. The Agera S engine is built to comply with the most stringent environmental regulations in the world, EU5 and LEV2, and delivers a significant power increase compared to previous Koenigsegg engines. Fuel consumption, and thus CO2 emissions, have been lowered in the Agera S. This is an astonishing feat for a 1050 hp hypercar. Turbo response is of vital importance when it comes to driving pleasure and the possibility of controlling massive amounts of power. Koenigsegg has coupled the latest generation turbo technology with a patent-pending and proprietary response/back pressure reduction system, invented by Christian von Koenigsegg, to really give the Agera S engine a competitive edge. The large air-to-air intercoolers on both sides of the engine exchange enormous amounts of fresh air, eliminating the need for water in the intercooling system, thereby saving weight and avoiding heat soak issues during extended performance driving. Following the Koenigsegg tradition, the engine has dry sump lubrication in order to lower the engine as far as possible in the chassis whilst maintaining full control of the crankcase oil, even given the massive g-forces that can be generated. The large 80-litre fuel tank ensures a long driving range due to the relatively low average consumption. The Agera S follows previous generations of Koenigsegg vehicles with its fuel tank being well protected, built centrally into the carbon fibre monocoque chassis. Since the fuel is placed centrally within the car, the weight distribution does not change regardless of whether the tank is full or empty. Thanks to the safe fuel tank position, the challenging US high-speed rear impact test was passed at the very first attempt. The Agera S has four intelligent return-less fuel pumps to deliver the correct amount of fuel at any given time. This reduces the energy needed to operate the fuel pumps and eliminates the waste of excessive fuel transport. The Inconel/Titanium patent-pending exhaust system is a key element in the Agera S achieving its remarkable emissions and power levels. The exhaust system uses a completely new principle created by Christian von Koenigsegg. The new technology drastically reduces back-pressure and gives earlier catalytic light-off than any other turbo exhaust system. At the same time, the acoustics of the exhaust have been optimised in order to maintain Koenigsegg’s typical, thunderous growl. The newly developed 7-speed gearbox for the Agera S features a world’s first dual clutch system for a single input shaft gearbox. In order to keep the gearbox light, compact, strong and reliable, Koenigsegg chose to develop a new gearbox type in partnership with Cima, one that enables the use of a combination of both a dry and wet clutch systems in order to get class-leading shift times. First, there is the normal twin-disc dry clutch that operates in a traditional fashion. 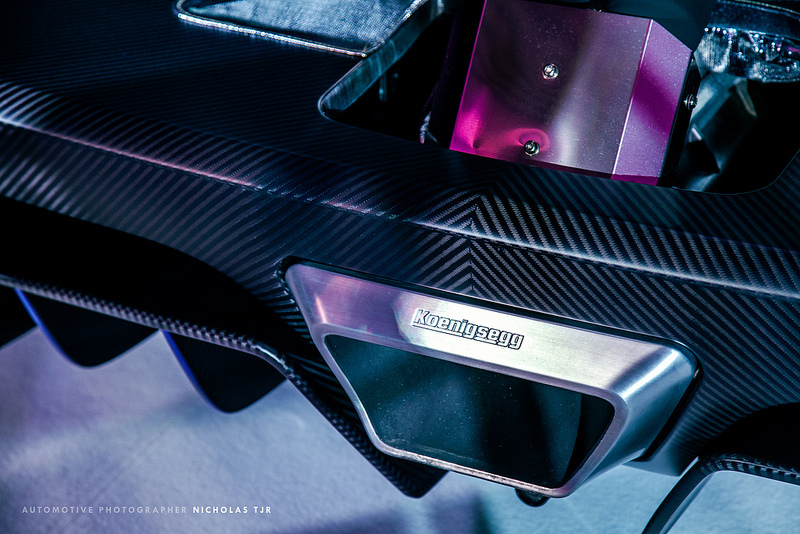 Koenigsegg’s latest innovation is a hydraulically operated wet clutch-brake inside the gearbox that is engaged during each upshift in order to slow down the input shaft as the gears are changed and prior to the normal synchronization. This cuts the synchronization time by two thirds as the gear is pre-synchronized. The result is a very sporty, smooth and extremely fast shift. Compared to a traditional DCT system, this gearbox is lighter, smaller, has less moving parts and gives a more distinct shift feel with almost no interruption to acceleration. Furthermore, the electro-hydraulic shift mechanism actuates the shift forks directly with no intermediate mechanical parts. This brings down the inertia of the shift mechanism and any potential slack is minimized since the shortest possible path of engagement is achieved. 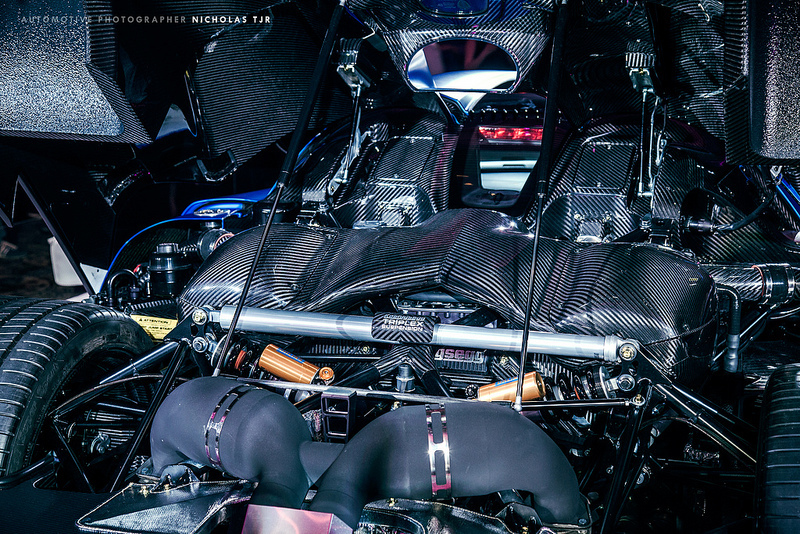 The entire transmission weighs only 81kg, which is by far the lightest 7 speed hypercar transmission in the world. The transmission can also be set in full-auto mode. The small size and very low weight considering the longitudinal 7 speed layout, made it possible to maintain the shortest-in-class rear overhang, thereby giving an excellent central mass position and maintaining neutral behaviour in extreme conditions. The Koenigsegg Electronic Differential (E-Diff) is both lighter and faster when compared to traditional E-Diff solutions. The difference lies in the fact that Koenigsegg has retained a limited slip differential with plates and ramps that have a built-in amount of analogue limited slip functionality. Consequently, the active hydraulic element can be more compact and therefore faster and lighter compared to traditional E-Diff solutions. The analogue part of the functionality also has zero processing time as it reacts directly. The analogue system is supplemented by the digital active system. Koenigsegg has therefore developed one of the lightest and fastest E-Diff solutions on the market. The algorithms that control the E-Diff – also developed by Koenigsegg – take inputs from throttle angle, g-force, steering wheel angle, yaw angle, car speed, engine rpm, selected gear, plus the prevailing weather conditions. The manner in which the car analyses and then reacts to this data makes the Koenigsegg E-Diff unique. It ensures that the Agera S is very safe on the limit, with improved performance and feel. The Koenigsegg E-diff works in harmony with a new traction control system, the fastest reacting system in the industry with auto-adapt functionality for different road conditions and driving styles as well as a number of manual settings. The Agera S´s unique carbon fibre monocoque chassis is designed to achieve its maximum stiffness without a roof, which is detachable and stow-able in the front of the car. This in itself is an unusual feature for such a compact hypercar. 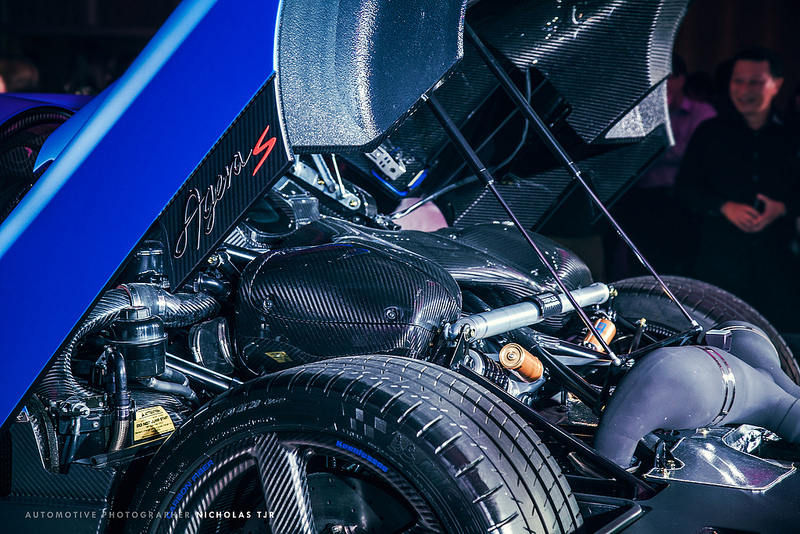 The Koenigsegg carbon monocoque chassis has an astonishing level of stiffness, measures at 65,000 Nm/deg. The monocoque weighs just 70kg, including the integrated fuel tanks. The result of Koenigsegg’s constant striving for weight savings is a dry weight of only 1330kg, making the Agera S the lightest, fully homologated hypercar presently in production. The suspension geometry of the Agera S was designed to further enhance the award winning behaviour of the CCX. The Agera S’s track is wider at the front, compensating for the narrower front tires and giving the car a square stance of 2 meters in both the front and the rear. In typical Koenigsegg tradition, the Agera S has the longest wishbones of all hypercars presently in production. Long wishbones have several key advantages: less track width deviation during wheel movement or cornering and improved geometry over a longer wheel stroke. This is one of the reasons why F1 cars have very long wishbones. The wishbones are produced from seamless aeronautical chrome-molybdenum tubing in order to minimise weight while offering maximum strength and stiffness. The extremely strong and light uprights are machined from 7075-T6 aeronautical grade aluminium, and contain 240mm SKF dual angle contact bearings, normally only found on LeMans prototype cars. The very large bearings contribute to the overall stiffness of the wheel assembly and therefore give better control, handling and comfort. The uprights have large 4.5″ diameter carbon fibre cooling ducts for the brake discs in order to maximise brake cooling. The Agera S is equipped with the absolute latest ABS technology, which is based on a lightweight, performance-focused racing system. The system makes it possible for the ABS function to react in a way that is specifically suited to the performance mode in operation at the time. Furthermore, the ABS braking system operates on massive 392×40mm and 380×34mm ventilated and drilled ceramic discs, which offer unparalleled braking performance and zero fade regardless of track or road condition. The Brake calipers are designed in-house by Koenigsegg. The front caliper has 6 ceramic pistons and the rear caliper has 4 pistons. The calipers are truly state of the art as their stiffness-to-weight numbers are unparalleled. Koenigsegg has continued its longstanding partnership with Michelin with regard to tire development for the Agera S. Hence, the Agera S features specially developed, latest generation Michelin Super Sport tires. Due to the tires, advanced suspension and aerodynamics, the Agera S achieves lateral acceleration up to 1.6g in dry conditions and offers improved handling in the wet. These new tires were developed for the Agera line during testing at the Michelin Ladoux test centre in France. The tires are rated for speeds over 420km/h, making them the highest top-speed rated tire in the world, whilst offering cup tire levels of grip and outstanding wet performance, all in one package. 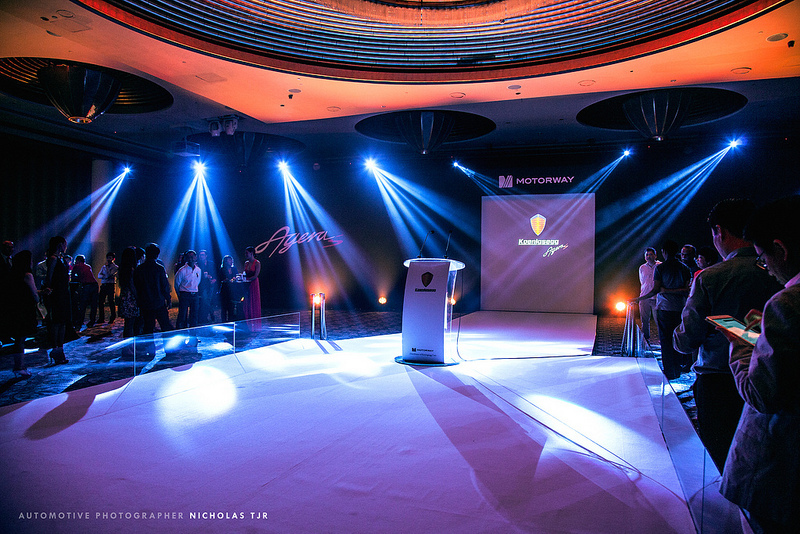 Koenigsegg is very proud to be a selected development partner with Michelin. The aerodynamics of the Agera S are shared with the Agera R and have been honed and perfected over many years in CFD and wind-tunnel testing in order to ensure the best possible results. Even with the massive dynamic rear wing, the drag of the Agera S is only Cd 0.33 in high speed mode and Cd 0.37 in track mode. 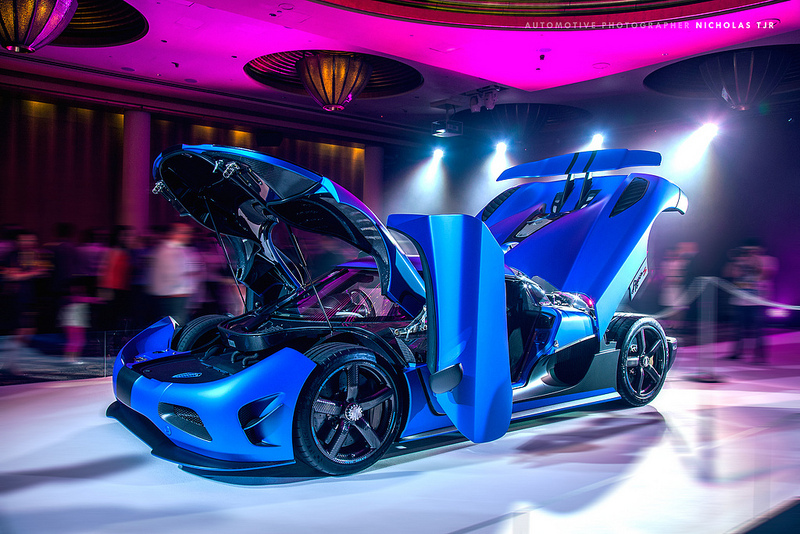 Even though the Agera S is a full 2 meters wide, it only has a frontal area of 1.87m². This results in a Cd*A value of only 0.62 and thus a theoretical top speed of over 420 km/h, given the gear ratios and power available. All Agera models are limited to 375km/h in standard mode, but can be unlocked by Koenigsegg for short periods of time if all necessary conditions are met. These include road condition, tire wear, service levels etc. The car is set in full-speed mode by unlocking the setting via the infotainment system. The two large side air intakes greatly add to the Agera´s high speed stability as they ensure that the pressure point of the car is behind the mass centre of the car. This gives the car greater directional stablity with increasing speed. This is a crucial safety feature when it comes to driving at extreme speeds. Great care has been taken to ensure that the car remains stable during high speed braking. The front splitter and rear diffuser have been designed and optimized with this in mind. For maximum performance and safety, it is important that the downforce stays as constant as possible, even in yaw situations. The rear diffuser was developed specifically to give substantial down force even at wide yaw angles. The interior of the Agera S is like no other car. 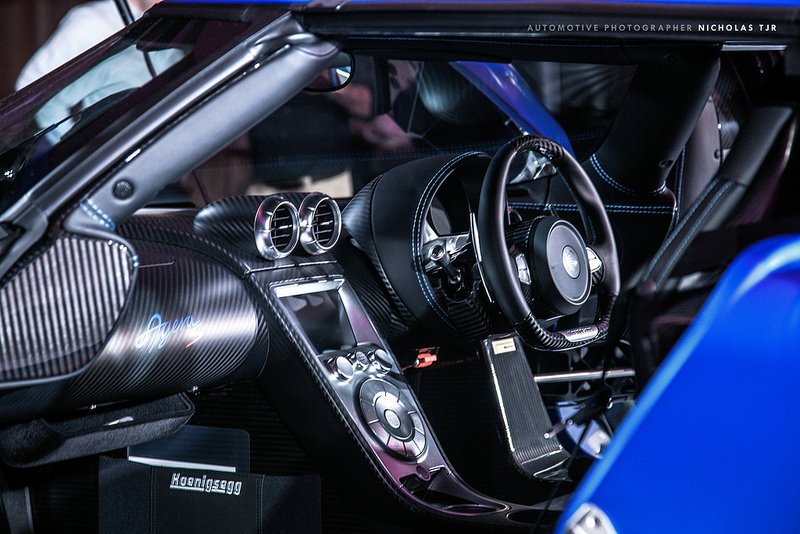 Only those materials deemed worthy by Koenigsegg are allowed in the interior. The only materials you get to touch and see inside the Agera S are aluminium, carbon fibre, precious metals, alcantara and aniline leather. All switchgear is original and features wonderfully unique solutions. For example, the Koenigsegg Ghost light, which makes solid aluminium buttons gleam with LED powered icons that appear as if out of nowhere. It is a world first in the car industry. The illumination shines through the billet aluminium buttons and surfaces by way of almost invisible micro holes, creating excellent visibility of the symbols as well as a very clean and stylish appearance that is framed by an all-new carbon fibre centre console and tunnel assembly. The new, lightweight, full carbon airbag steering wheel incorporates many vital functions directly in front of the driver. As with the CCX, the shifting paddles are mounted directly on the steering wheel to enable shifting without taking your hands off the steering wheel during hard cornering. The central, high-definition touch screen infotainment system provides control for audio functions, satellite navigation, Bluetooth phone and secondary functions such as performance meters and telemetric data. The exceptionally comfortable carbon seats are great for long journeys but also give excellent lateral support when needed. They can be heated as an option. The Interior of the Agera S is truly minimalistic and efficient in the purest Swedish tradition. There is nothing in the interior merely to add visual drama; everything is there for a functional purpose. This is the essence of beauty as it follows the same less-is-more philosophy that typifies every engineering aspect of the Agera S.
The CI system was specifically developed for the Agera range by Koenigsegg. It features a unique and configurable interface that can be adapted to the driver’s specific demands. As it is connected to the cars CAN bus system, it communicates freely with the infotainment screen and all other functions in the car. Graphical information can be prioritised and selected by pushing the left stalk button. For example, in track mode there is a focus on RPM, pressures, temperatures, lap times, and g-forces. Compare this to GT mode, where vehicle speed, auto shift, satnav, power, music, etc. are prioritized. The luggage space in the Agera is something Koenigsegg is particularly proud of. 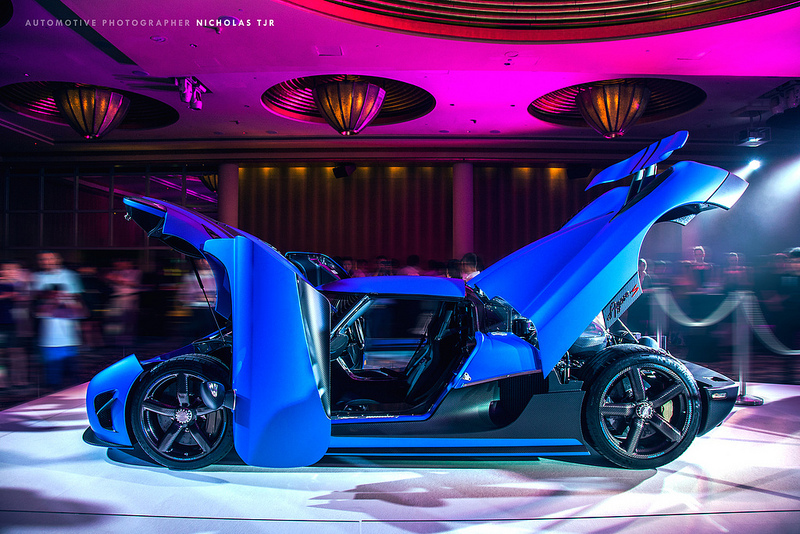 It has the largest luggage compartment in the hypercar world, with a capacity of over 120 litres. It is so well shaped that it can actually fit the one-piece Agera roof/hardtop, meaning the driver can choose to go open or closed at any given time during a longer trip. What might be more surprising is that it is also possible to fit a set of golf clubs in the luggage area, something that is unheard of in the hypercar world. Given the high comfort level and the large luggage space, the Agera can truly been viewed as being one of the first GT hypercars. Not only do Koenigsegg develop their own engines, but many of the electronic control units, CAN protocols, and management strategies are also developed in-house. If you could look closely at many of the circuit boards in the car – inside the control units, for example – you would find the name Koenigsegg imprinted directly on the circuit boards. Of course there is no need to develop so many critical items in-house unless it gives the car a competitive edge, which is indeed the case for Koenigsegg. This type of in-house competence gave Koenigsegg the possibility to pioneer the CCXR and Agera R – the first two environmentally conscious hypercars in the world. One typical example of this internal development regime is the Semiconductor Electric Control Central. The ECC controls most of the electronic functions in the car. Most physical fuses or relays have been replaced by software-controlled semiconductors, which are configurable in function and enable monitoring of all power and threshold values. The ECC communicates via CAN with the infotainment system in order to display necessary information to the driver. For example, if a door is open, a lamp is broken, or if one of the roof locks are not tightened properly, the driver will be informed via the instrument display as all electrical functions are controlled and monitored by the ECC. The Agera is the first combustion engine production car in the world with an intelligent Lithium Iron battery as standard equipment. This battery type saves significant weight and is more compact compared to traditional lead acid batteries. Also, Lithium Iron cells cannot reach thermal runaway like Li-ion batteries – a state that can mean meltdown and/or fire. This makes them very safe for automotive use. The ILB carries many intelligent functions developed by Koenigsegg together with our battery supplier. Hypercars tend to be parked for long periods of time and it is not unusual for the batteries to be drained if the car is not connected to a trickle charger. Even though all Koenigsegg cars come with a trickle charger as a standard accessory, it is not unheard of for its use to be neglected. Depending on location, it may not even be possible to use it. There is also the potential for a driver to occasionally forget to turn off all accessories in the car, such as the parking lights, for example, which may cause early battery drainage. Koenigsegg has therefore implemented a minimum current protection mode, to make accidental battery drainage a thing of the past. The new ILB has an intelligent circuit built into it so that if the car is left on, or left standing for a long time, the battery will shut down when the voltage drops below a certain threshold. Later, if any essential buttons or a door knob is touched, the battery kicks back into life for 5 minutes and has enough power to operate all of the functions in the car and start the engine, thereby giving charge back to the battery. Concerns about battery charge are now a thing of the past, irrespective of the behavior of the vehicle user. It is remarkable, but true: you can leave the car in the evening with the high beam on, the stereo at full volume, without the engine running. When you wake up in the morning, you can open the car door, start the engine and drive away. Perhaps a situation more familiar to a hypercar owner would be one where they leave the car for several months, perhaps over winter, and yet they will still be able to open the door, start the car and do what their Koenigsegg was made to do: drive. Cd. 0,33 to 0,37 with adaptable rear wings. Weight including tanks: 70 kg. Προηγούμενο άρθροOnBoard Video: Μ’ ένα πισωκίνητο Subaru Impreza που driftάρει!